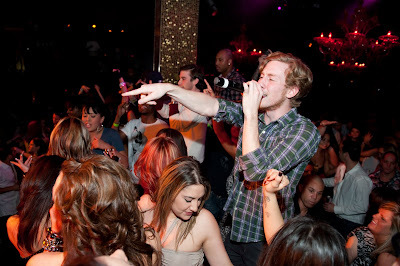 The crowd at TAO Worship Thursday was in for a surprise when Asher Roth hopped on the catwalk and entertained the packed club with a three song set. Surrounded by women, the rapper ended his impromptu performance with his hit “I Love College,” a fitting tribute to the spring break crowd. Before hitting the club, Roth, DJ Wreckineyez and friends dined at TAO Asian Bistro on favorites from the kitchen. 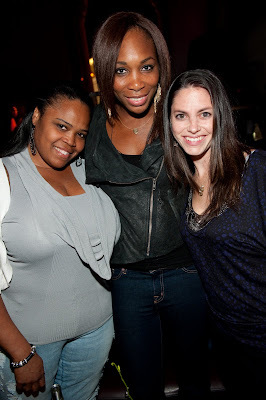 Also dining at TAO was Venus Williams. Arriving straight from a photo shoot, the tennis star enjoyed Lobster Wontons and Crispy Rice before heading up to the nightclub just in time to catch Roth on the catwalk. Warming up for his Saturday night gig, superstar DJ Erick Morillo was spotted hanging with TAO owner Jason Strauss, taking in the scene and the sounds of DJ Ross One.